Manchester’s Deaf Institute is one of the city’s cosiest venues; tucked away above a bar just off the student-packed Oxford Road, it comes complete with a giant disco ball and some of the most delightfully hideous wallpaper known to man. It’s also the sort of venue that becomes wall-to-wall humans when it’s sold out, as is the case tonight for the eagerly awaited return of Lonely The Brave to the north. Despite the early 7.20pm start, there’s already a reasonable crowd for She Makes War, aka Laura Kidd. An interesting and varied set that flits between bluesy rock and indie pop (with a few other influences thrown in for good measure), it’s a thoroughly enjoyable and relaxed start to the evening. 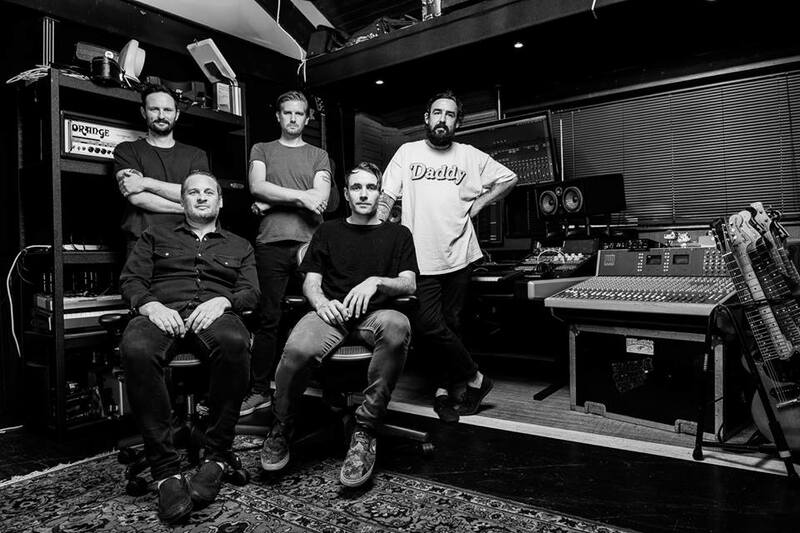 Tonight’s show is the first of a three date tour for Lonely The Brave, coming less than twelve months after the departure of David Jakes, and three since their first show with new vocalist Jack Bennett at London’s Omeara. The show starts gently with a handful of tracks from debut ‘The Day’s War’ and a sense of overwhelming elation fills the already packed room as fans witness the return of a beloved band; the applause at the end of each song is not simply that of politeness, but of genuine gratitude and appreciation, lasting just that bit longer than usual. A vocalist as unique and powerful as Jakes might seem impossible to replace, but that’s not what Lonely The Brave have done. With Bennett, they have found someone with his own distinct identity and strength to step into the void, though on one point the two don’t differ – the depth of soul in their voices is easily comparable, and with this, Bennett is able to maintain the incredible spirit of this music. Though there are one or two moments where he doesn’t seem entirely comfortable, they are quickly recovered – and they’re hardly surprising, given that this is only their second live show together as a new unit. The crowd seem keen to make their support known, though it’s only when the upbeat fifth track ‘Trick Of The Light’ kicks in that the singing along begins in earnest. Tipped slightly more in favour of songs from ‘The Day’s War’ rather than sophomore release ‘Things Will Matter’, it’s nonetheless a well balanced, fourteen track set list, and there’s truly little to fault; soaring and transcendent, it’s the kind of set where it’s possible to close your eyes and feel yourself lifted to another universe. The highlight of the evening comes with pre-encore track ‘The Blue, The Green’ as the whole room unites in a choir of voices and raised arms for one of those truly blissful, moving moments that all music fans wish they could live in forever. As the night is brought to a close with the punchy, powerful ‘Black Saucers’, Lonely The Brave have provided the clearest sign possible that they are embarking on an exciting new chapter. There are undoubtedly good things in store as they move forward – and for those of us in attendance tonight, we can say we were lucky to be there to witness the beginnings.